Co-Director, Ophthalmology Course for Primary Care. April 2000. AlconCusí. Co-Director, Ophthalmology Course for Primary Care. April 2001. AlconCusí. Lecturer in Paralytic ectropion Course. 2002 Madrid International Hospital. Co-Director, Ophthalmology Course for Primary Care. October 2002. AlconCusí. Co-Director, Ophthalmology Course for Primary Care. October 2003. AlconCusí. Speaker at SEO Course 2004: Current status and future of surgery of the tear ducts. "External dacryocystorhinostomy"
Speaker at Evisceration and graft dermograso Course. Castellanoleonesas of Ophthalmology. Conference, Avila, Nov 2007. Professor in Pathology anterior and posterior pole. Ophthalmology Course for pharmacists. January 14, 2008 Madrid. Speaker: Live surgery: ptosis. March 14, 2009. Leon hospital complex. Secretary: Papers in Aesthetic eyelid. International Iberoamerican Congress Oculoplastic Surgery, Orbit and Lagrimales.9-11 June Routes Santiago de Compostela Wrangler oculoplastic panels: Oculoplastic orbit. Madrid. 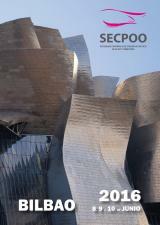 SEO.23 Congress September 2010. Coordinator I LIVE oculoplastic surgery Course. LEON October 1, 2010. Facial paralysis. Angel Arteaga. IV Pathology Continuing Education Course Eyelid. 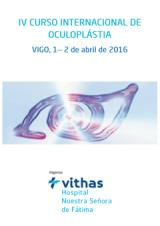 XXII Congress of the Spanish Society of Ophthalmic Plastic and Orbital Surgery. Badajoz June 14, 2012.